Many kids may be in need of a little rest and relaxation during the summer. Luckily, with our 4-day soccer camps, your kiddo with have plenty of time away from history tests and after-school practices even if he or she signs up for one of our Smoky Mountain soccer camps. 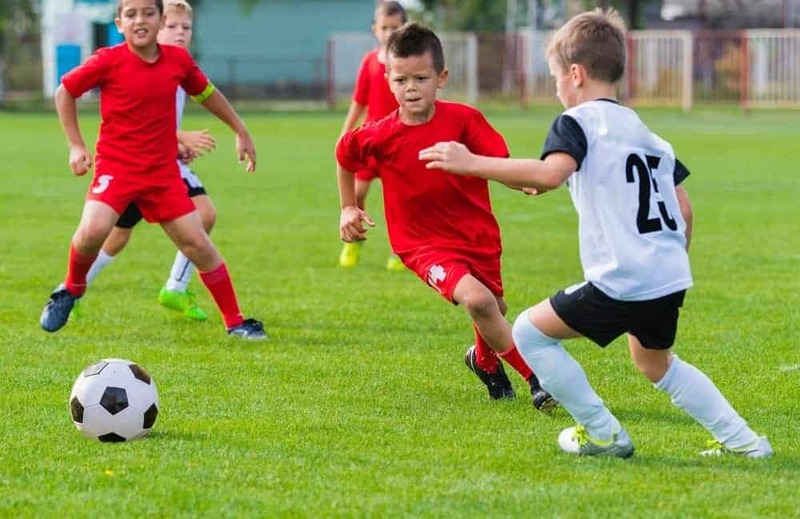 Four days is just long enough for your little soccer star to learn skills and improve upon their existing skills with plenty of summer left over to enjoy and relax. And more often than not, we find that players find playing soccer – whether it be at camp or at home in the yard – to be one of the most fun ways they can imagine spending their summer vacation. While you certainly want your kids to enjoy summer vacation, sometimes indulging in cartoons and lazy days on the couch become the main form of entertainment over the summer. Even though kids love their sport, the “out of sight, out of mind” phenomenon often plays out when the season is over and school is out. Our camps are a great way to keep him or her off the sofa and reawaken his or her soccer-loving energy. This 4-day camp is designed to be lots of fun for young soccer players while also improving speed with a focus on technical development. Players will learn series of drills and receive instruction that can also be put to use at home, too. So the things you child learns during our Smoky Mountain soccer camps can often be repurposed and implemented all summer long. Imagine the confidence your child would have knowing that he trained towards getting an extra edge on his soccer game over the summer. He would excitedly anticipate taking the field to show off his skill the moment their soccer season began. That’s definitely a sign of a summer break put to good use. For more information about Smoky Mountain soccer camps and our other summer activities, check out our complete list of camps at Rocky Top Sports World. This entry was posted in Gatlinburg Sports Events on May 26, 2015 by rockytopsports.